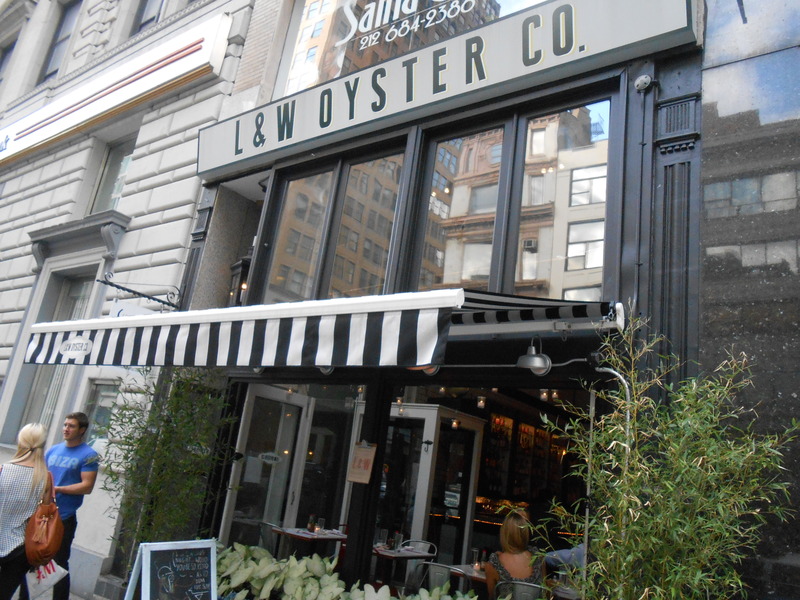 I recently had the chance to dine with a friend at L & W Oyster Co for the lobster special, which is meant to be shared and is reasonably priced at $29.50 each. 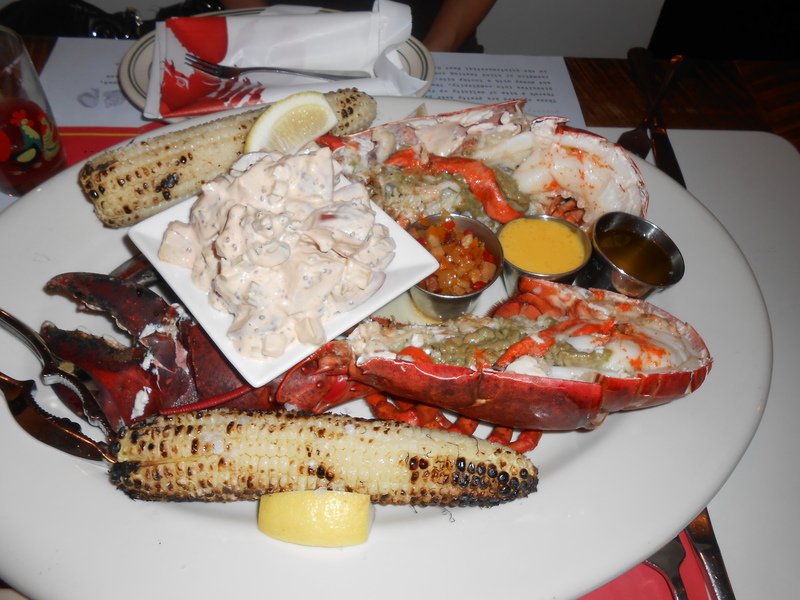 The lobster meal included 2 lb lobster and 3 types of dip, grilled corn and potato salad, as well as a shot of sour-sweet pomegranate lime juice. I thoroughly enjoyed the corn- sweet, fresh, grilled to perfection, as well as the potato salad- seasoned beautifully and very tasty. The lobster had a lot of green gunk in the body, which I wasn’t used to and which meant we only had the front and tail portion for lobster meat, which diminished the amount of meat total. At least the lobster was already cut in half so fairly easy to eat. The lobster meat was warm, tender, delicious, especially with the onion & bacon dip and the hot butter. 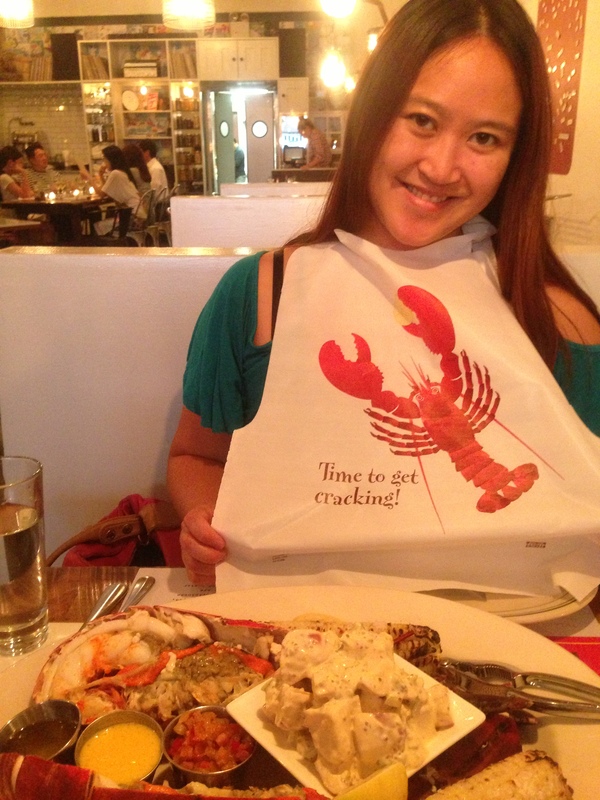 I tried to savor the taste of lobster as much as I could. When I saw sticky toffee pudding, a British dessert, I knew I had to try it. It’s not often that one finds this particular dessert in NYC and even more rare is to find a place to does it well. 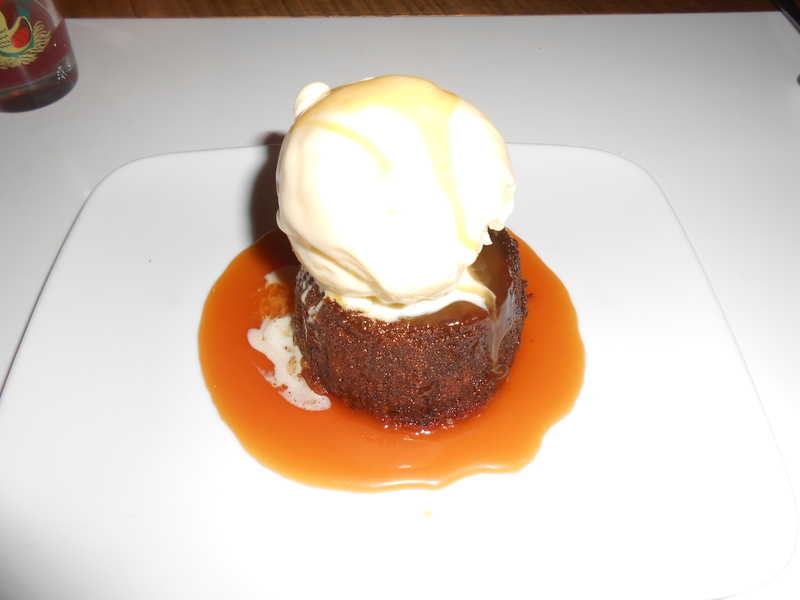 Sticky toffee pudding is a steamed dessert, consisting of moist sponge cake and this version came with creme-fraiche flavored ice cream. It was divine. The cake was incredibly soft and soaked up the sticky caramel sauce, which actually was too sweet for me, but the ice cream lightened the taste and added another layer of deliciousness. All in all, a wonderful meal with great service!